Updated: Corrected typo in headline. / Corrected to reflect that ports are waterproof even without hatches. This phone makes a good first impression. It looks tough and feels tough. The back and sides consist of no less than five different textures. 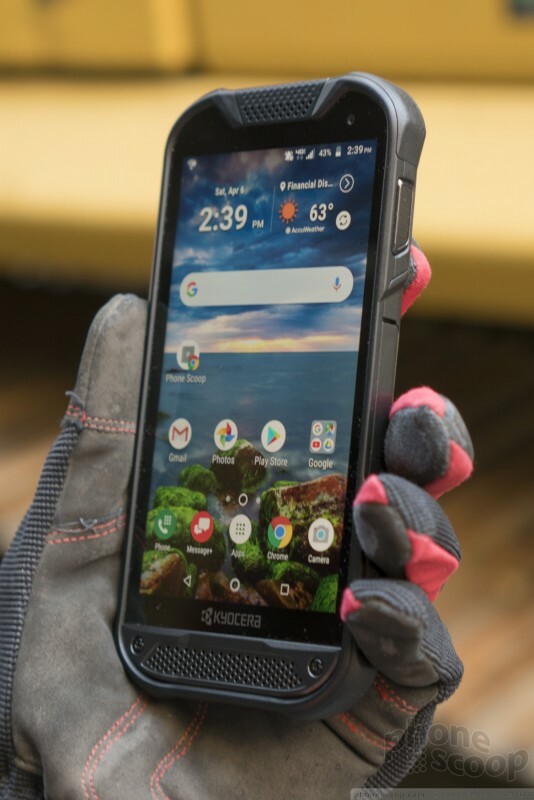 The corners are large chunks of extra-thick, super-tough plastic that stick out a little extra in every direction, providing excellent protection for the whole phone. It feels very solid and well-made. I like the look. 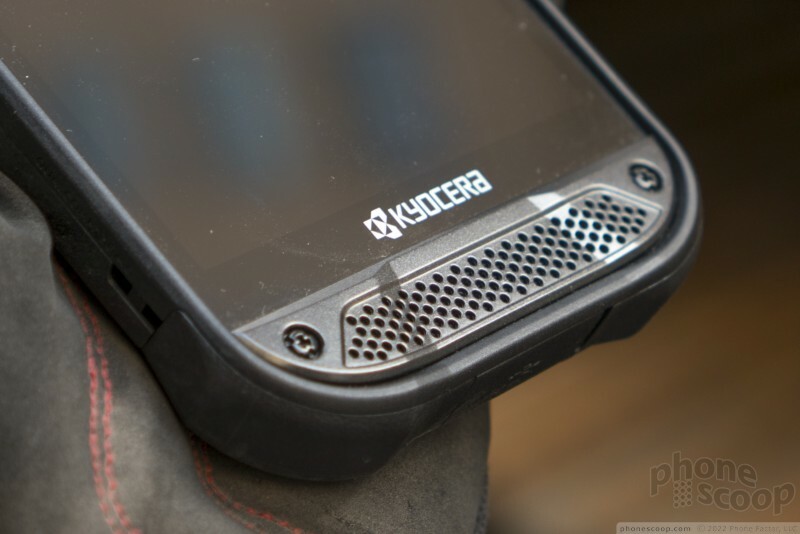 Kyocera managed to give it a "tough" design that's mostly functional; it doesn't go overboard on unnecessary styling. 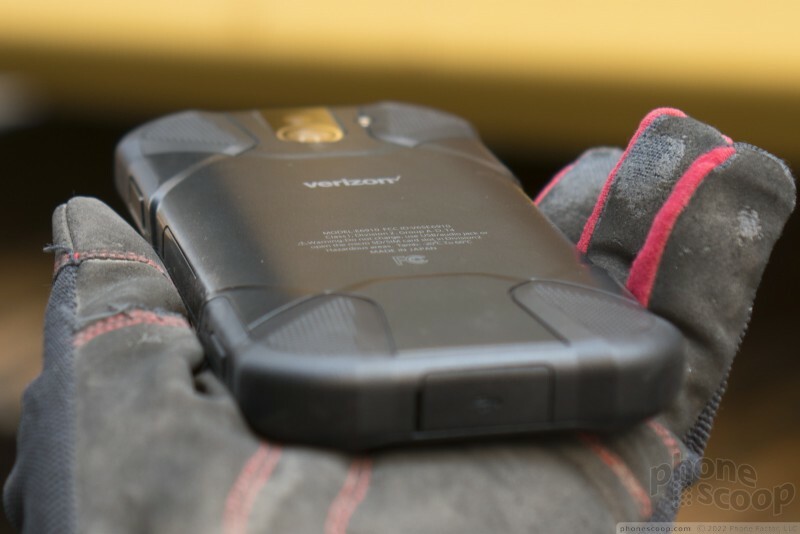 The only part that looks "extra" is the way the four corner bulges wrap around to the back, but those triangles have a rubberized texture, so they serve as four rubber feet for the phone when you set it on a flat surface. 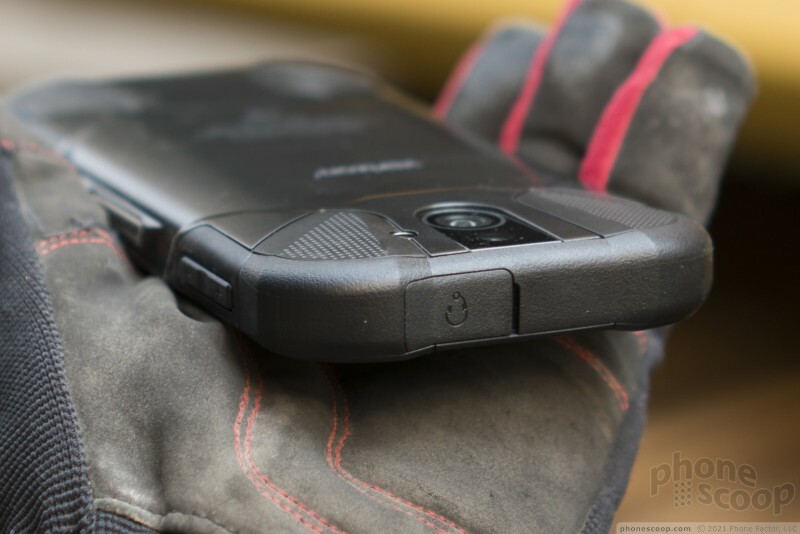 The DuraForce Pro 2 is, as expected with a super-rugged phone, quite thick, and a bit on the heavy side. No miracles here. 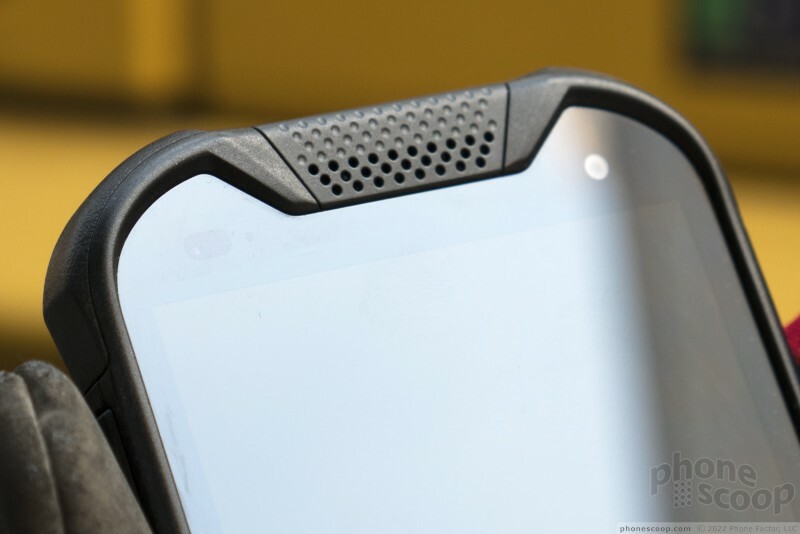 But the back is curved to fit the shape of your hand, which helps a lot given how thick it is. 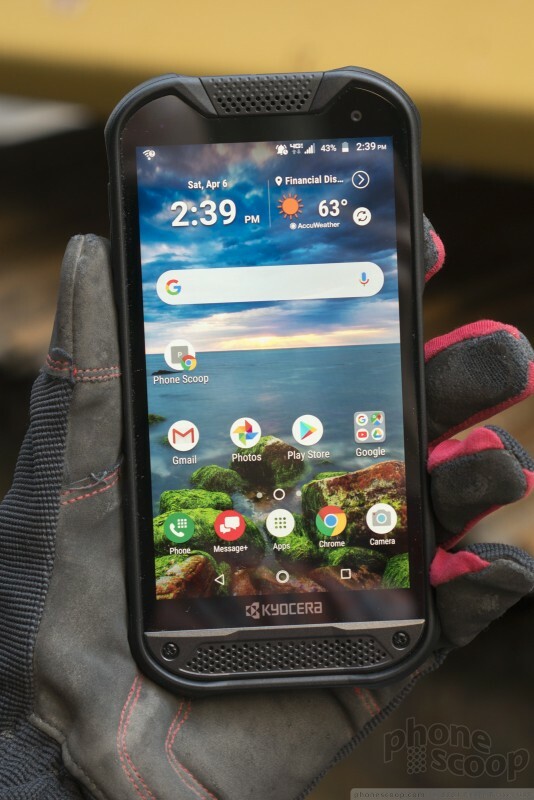 Rugged phones need relatively large bezels to protect the screen, but even so, I'm reasonably certain Kyocera could have done better on this point. 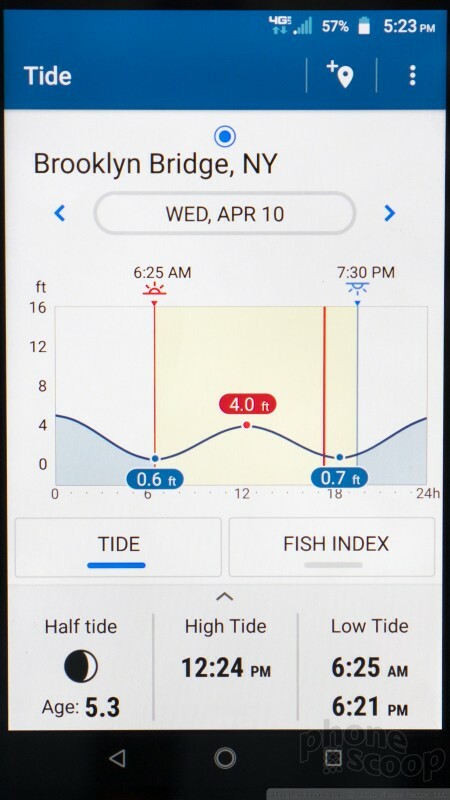 The screen is drowning in useless blank space on the front, compared to any other modern phone. It's a small screen. At the very least they could have gone with a taller, 2:1 ratio display to reduce the huge "chin" and "forehead". 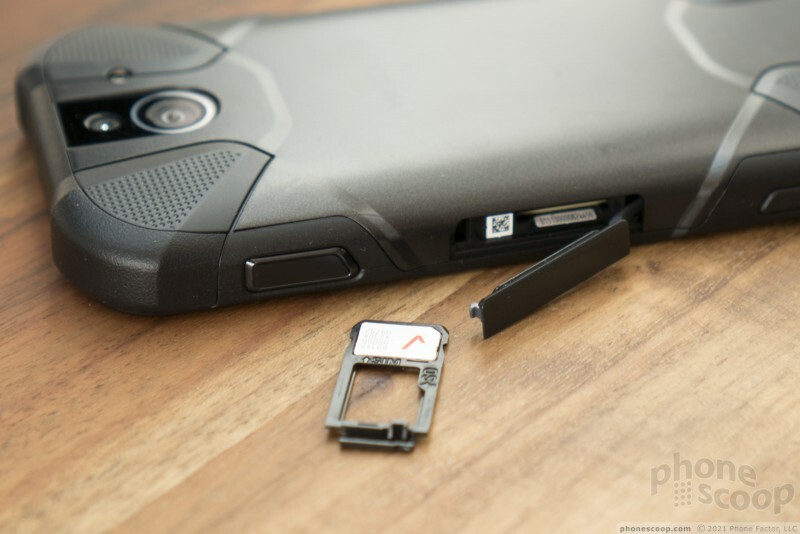 Ditto for the battery, which should be larger than 3,240 mAh, given the size of the phone and the intended market. 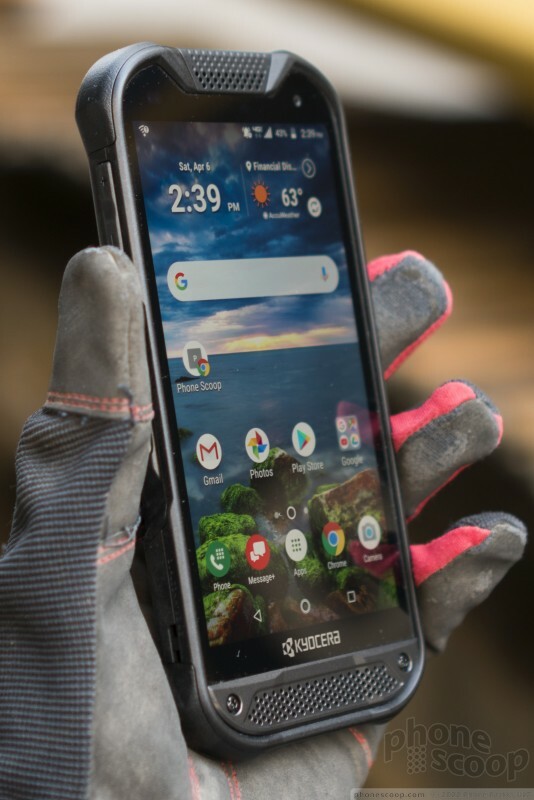 Unsurprisingly, given their experience making rugged phones, Kyocera has nearly perfected the tricky details like the buttons and port hatches. The hatches are easy enough to open, yet don't seem like they'll come loose accidentally. The hatches are also large enough, and pull out far enough, to accommodate any plug. 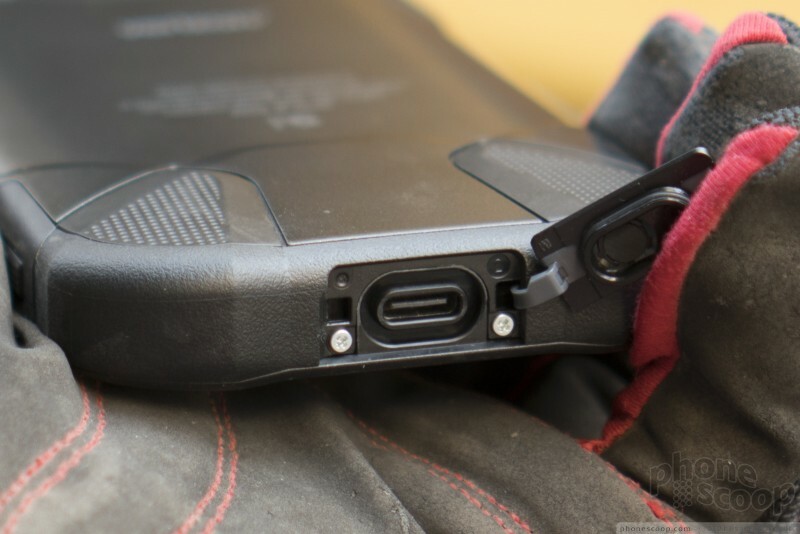 The hatches for the USB-C port and card slot have proper rubber seals. The hatch for the 3.5mm jack on top doesn't have a rubber seal. 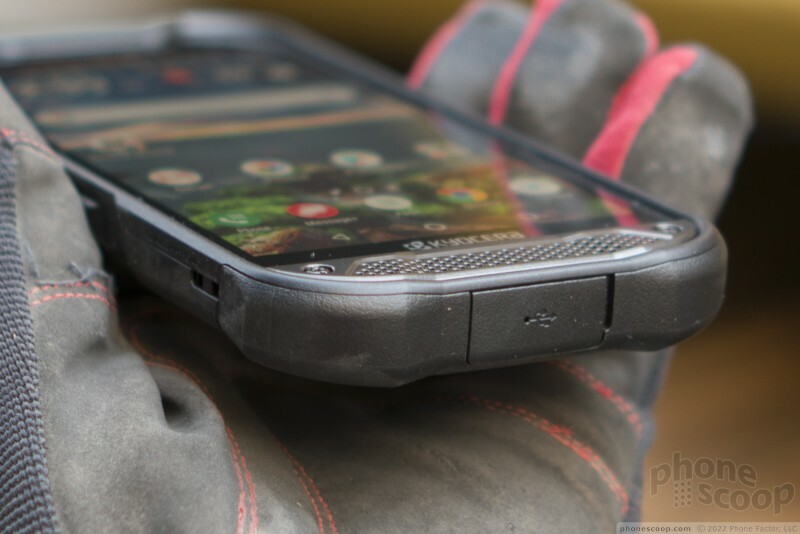 That's because all of ports are waterproof even without the hatches. (The hatches are there to keep out dust, etc.) 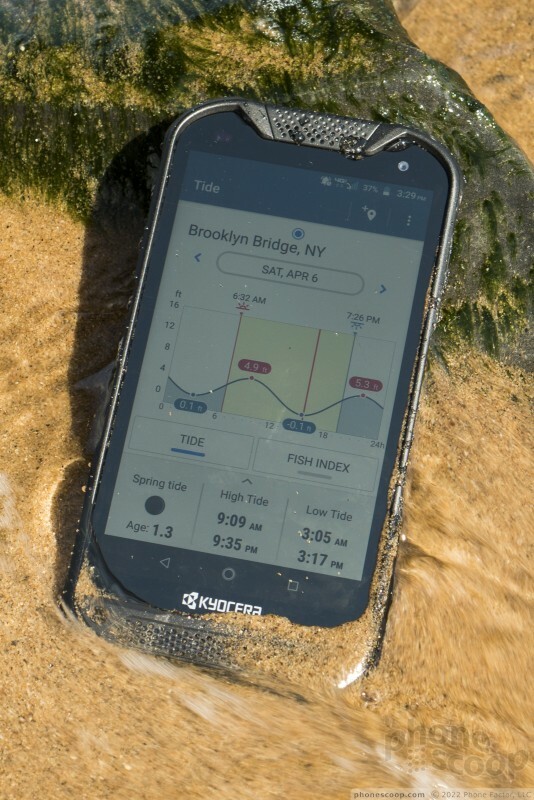 The phone survived a swim in the ocean, tumbling around in beach surf for while, just fine. 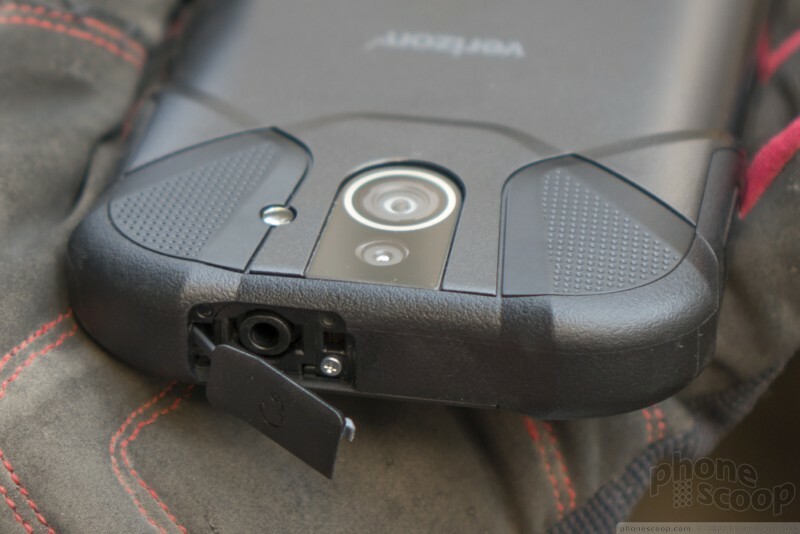 I want to point out some particularly clever engineering in the bottom hatch, where Kyocera appears to have routed the microphone port right through the USB-C port and the hatch covering it, with the mic hole integrated into the USB logo, and a membrane protecting the hole on the inside of the hatch. This lets Kyocera point the mic down and center it (for better sound) and also center the USB port (because that would just be annoying if it were off-center.) Nifty. 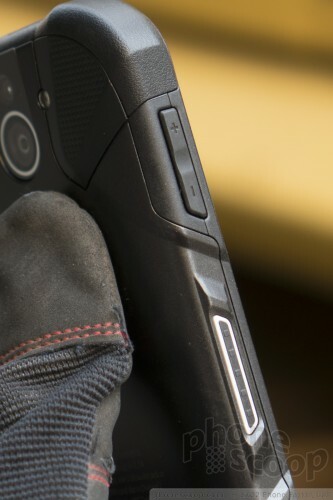 The side buttons have the right size and shape so they're easy to use, even when wearing thick gloves. They don't travel much, but the "click" action is just enough to be satisfying. When wearing thick gloves, the relatively bumpy body design makes the buttons easy to find even when you can't feel the buttons themselves. I's really nice that there are two shortcut buttons on the sides, and they're highly configurable. 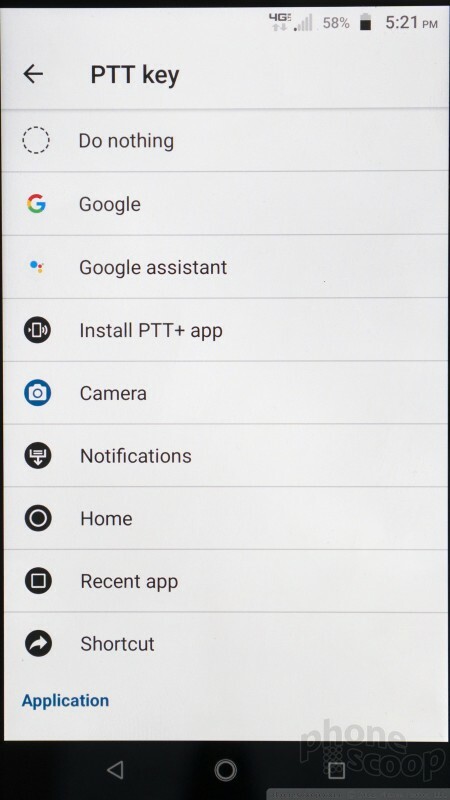 You can use one for the camera and one for PTT, or you can assign one to Google Assistant for doing all sorts of tasks hands-free. 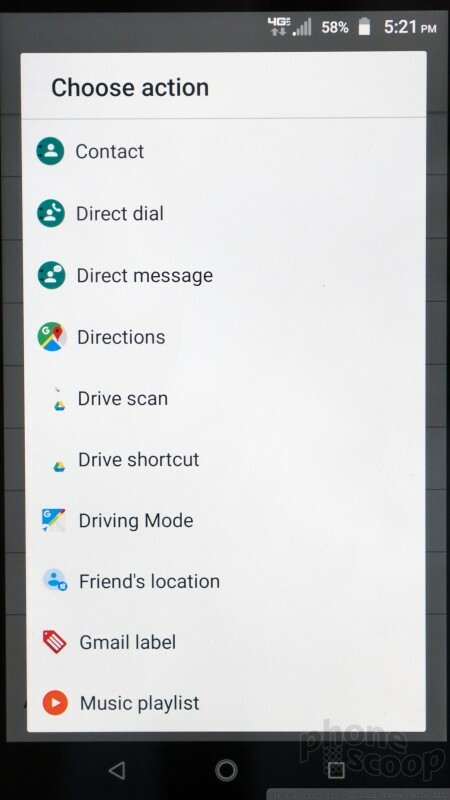 But you can also assign the camera button to launch any other app instead, and there's a ton of special shortcuts you can assign to either button, like sharing you location, calling a specific contact, starting driving mode, viewing notifications, etc. 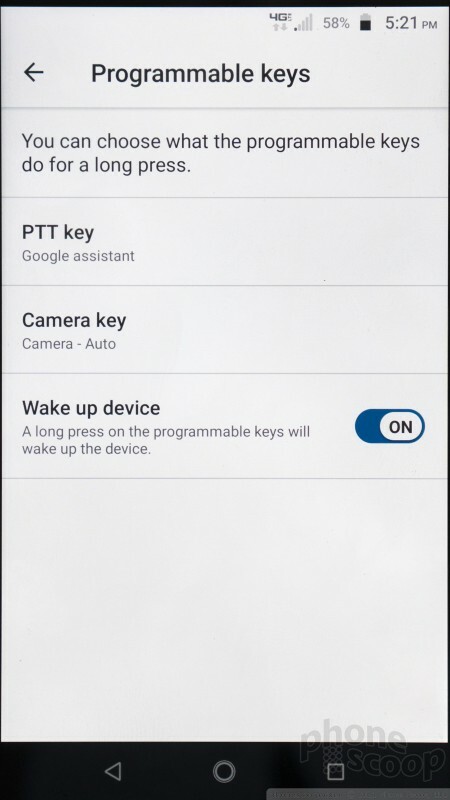 Oddly, the side buttons only work as shortcuts with a long press. Now I get that that reduces accidental presses, but it would be nice to have the option of assigning something else to a double-press, for example. A quick test of the screen shows it's bright enough outdoors. It gets washed out in direct sun, but you can still read it just fine. Viewing angles are impressive. The loudspeaker is nice and clear at max. volume, which is reasonably loud. But a loud worksite will still drown it out; I'd prefer a louder max. 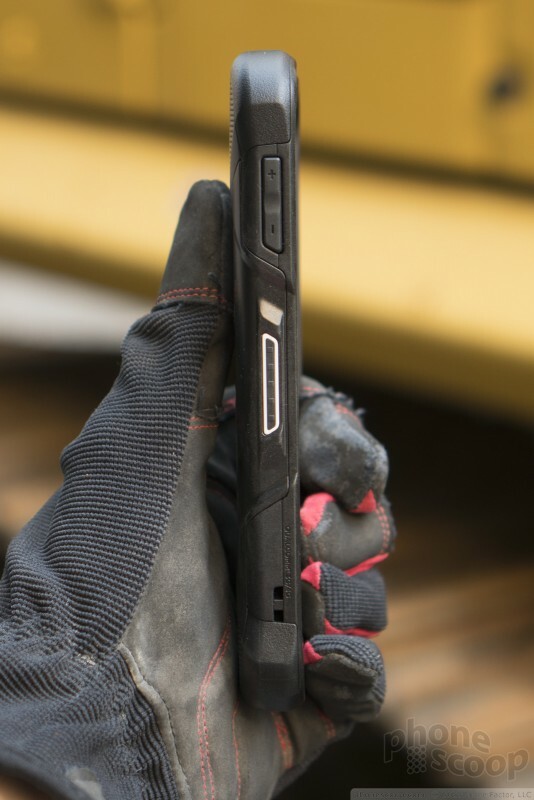 volume in this specific type of phone. 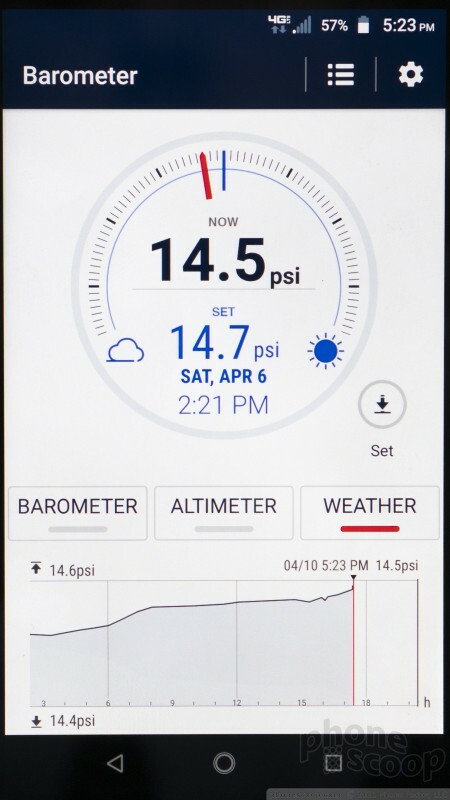 There are a few outdoor-focused apps onboard that will tell you the tides, sunrise/sunset times, and air pressure. 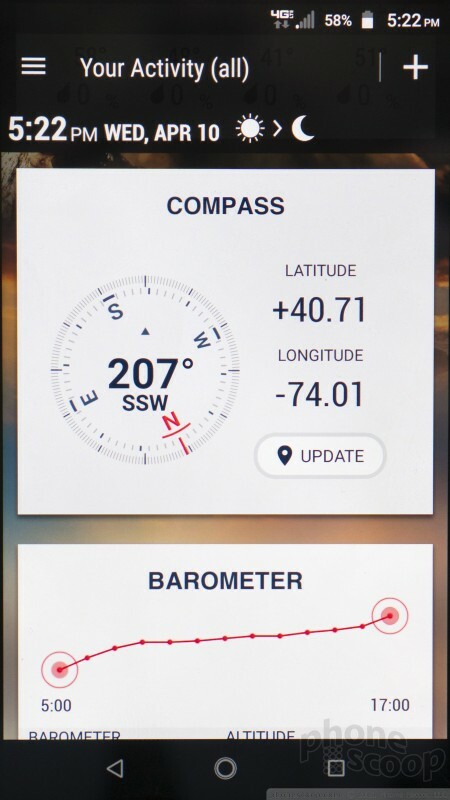 I didn't find the barometer very accurate; it kept telling me I was well below sea level when I was at the beach on a clear, sunny day. 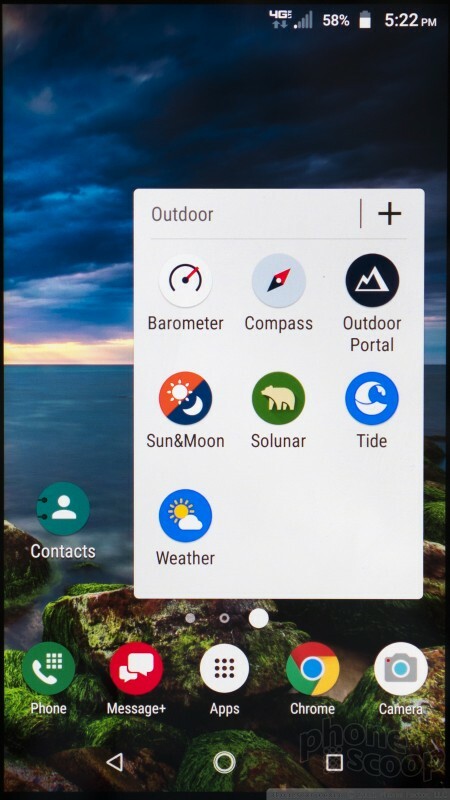 A special hub app displays a summary of all the other outdoor apps and lets you jump right into any of them. That works well. But I was annoyed that each of these apps — and several others — required its own setup process. There are a lot of tedious and seemingly unnecessary steps between unboxing this phone and actually being able to use everything. 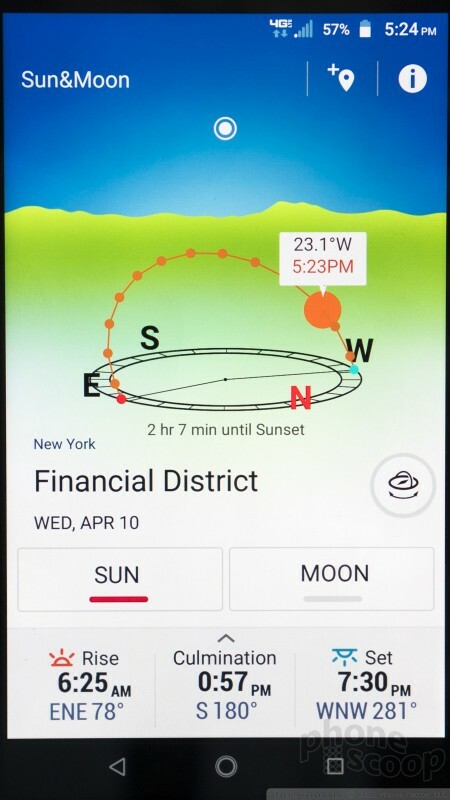 The software is otherwise very standard, clean Android 8.1. A quick spin of the camera app produced relatively unimpressive results from both lenses, especially in challenging light. 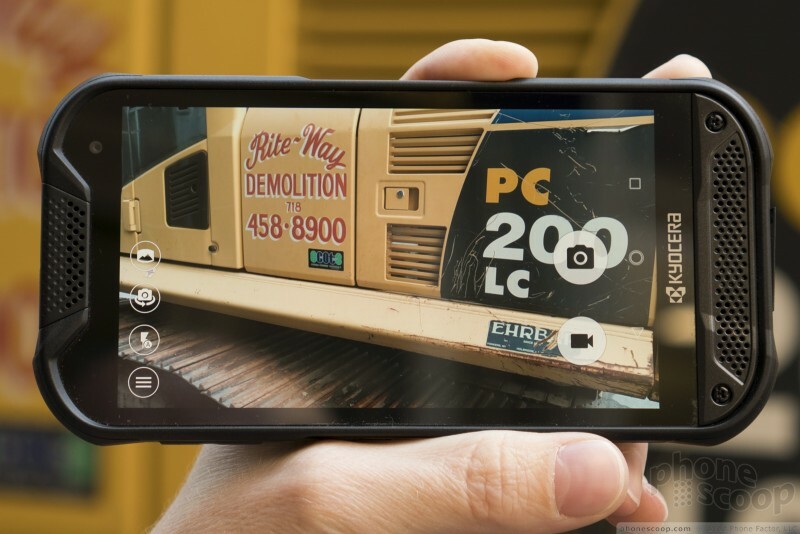 But this isn't a phone for photographers. I will say that the camera app is very well-designed and easy to use. And the wide-angle camera is indeed very wide-angle, which could come in handy in a lot of situations, both professional and recreational. 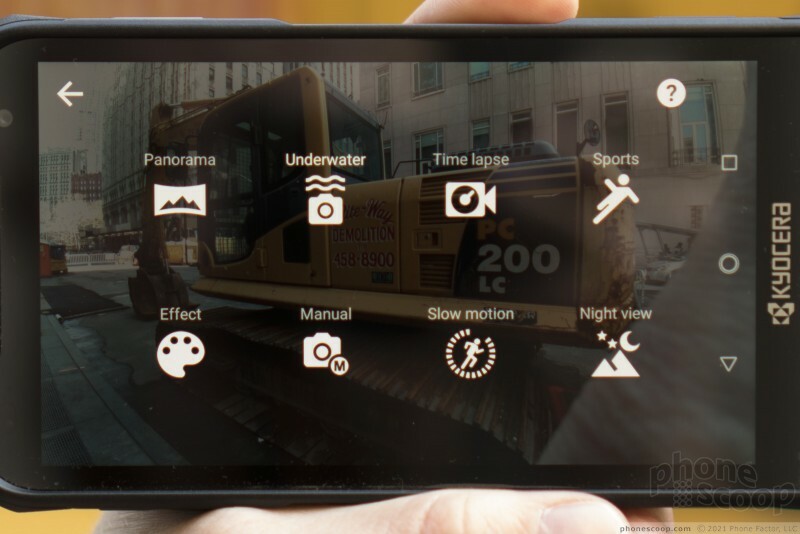 The main camera is 13-megapixel and the wide-angle clocks in at 8.3 megapixel. 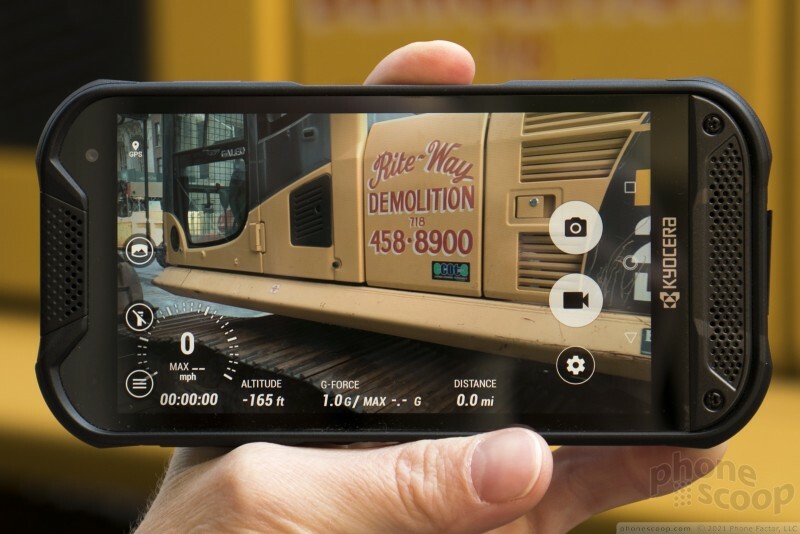 If anything, I think wide-angle cameras should have more resolution than standard cameras, not less. 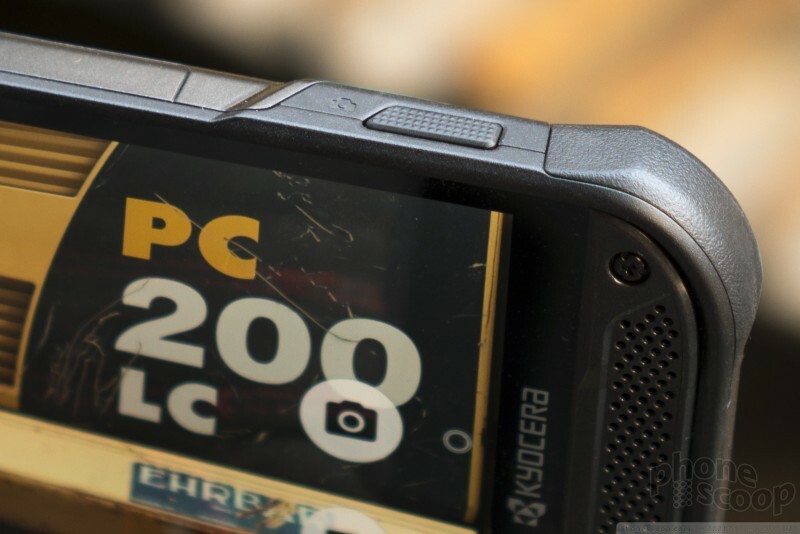 The loss of detail is just multiplied when you combine a low-res sensor with a wide lens. The rest of the specs are decent. The Snapdragon 630 processor with 4 GB of RAM is a good combo that should keep things quick for most users. The data should also be relatively quick thanks to Cat. 9 LTE. 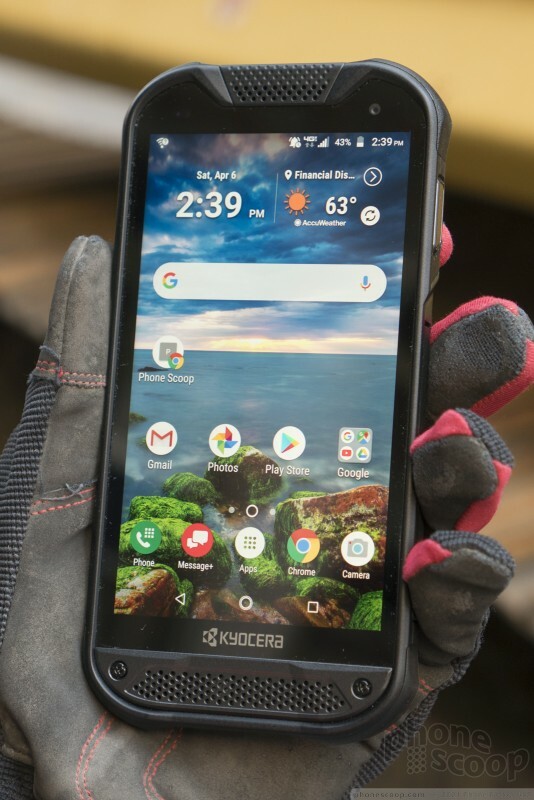 They've tried to include all the features that might be deal-breakers for some if they were missing, such as a fingerprint reader, NFC, wireless charging, and enterprise-grade Wi-Fi. 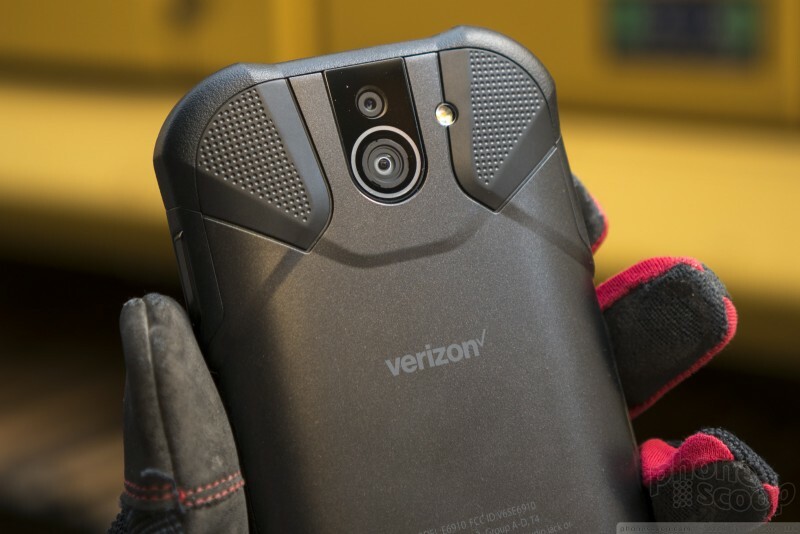 In AT&T's lineup, this phone competes with the Sonim XP. 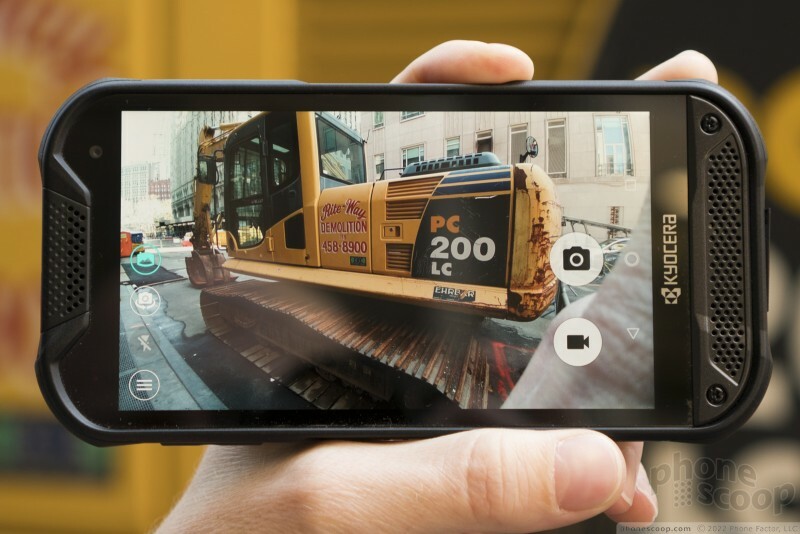 Many key specs — like processor, memory, and screen — are identical. 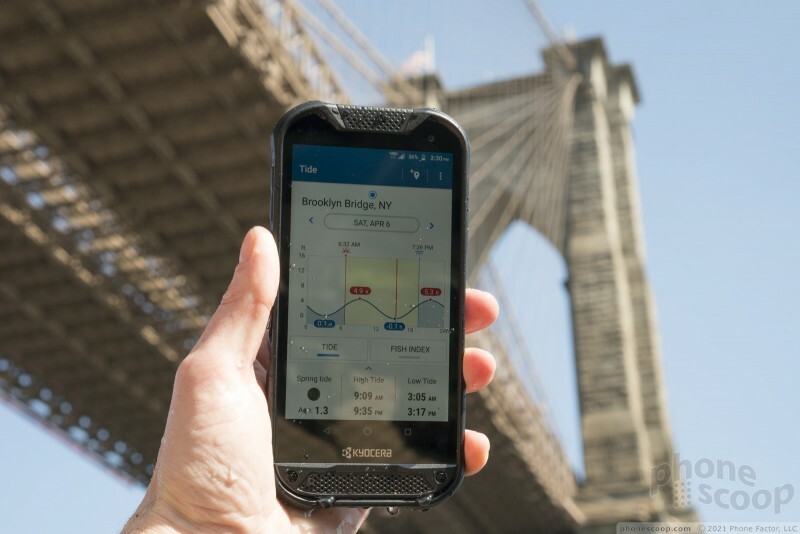 In Sonim's favor is the XP8's huge 4,900 mAh battery, but it's also a beast in terms of weight and size, and its blockier shape is unwieldy. 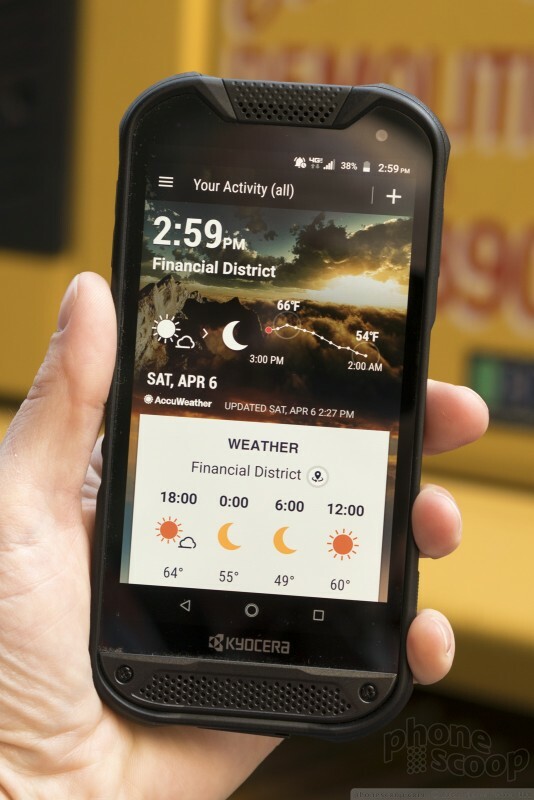 The Kyocera gives you extra features the XP8 lacks, like wireless charging, a 3.5mm audio jack, and that wide-angle camera. 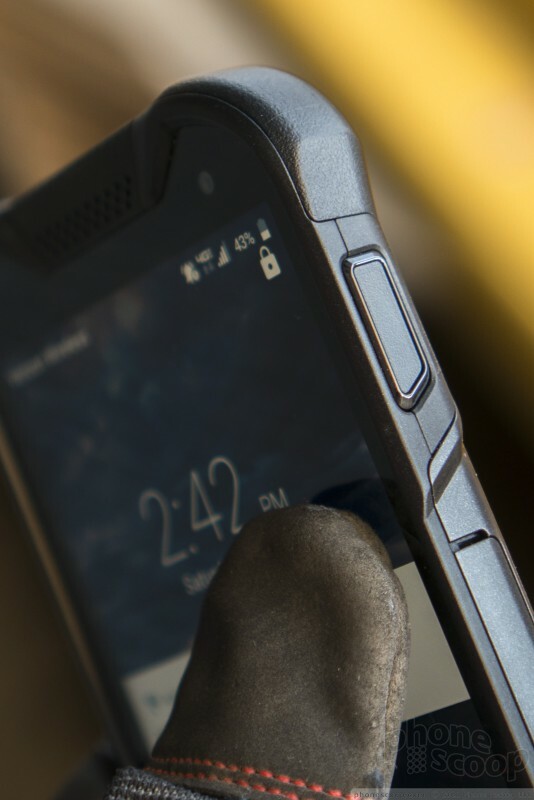 The DuraForce Pro 2 is available now from both Verizon and AT&T.